Join us for a very special St. Patrick’s weekend of specials! 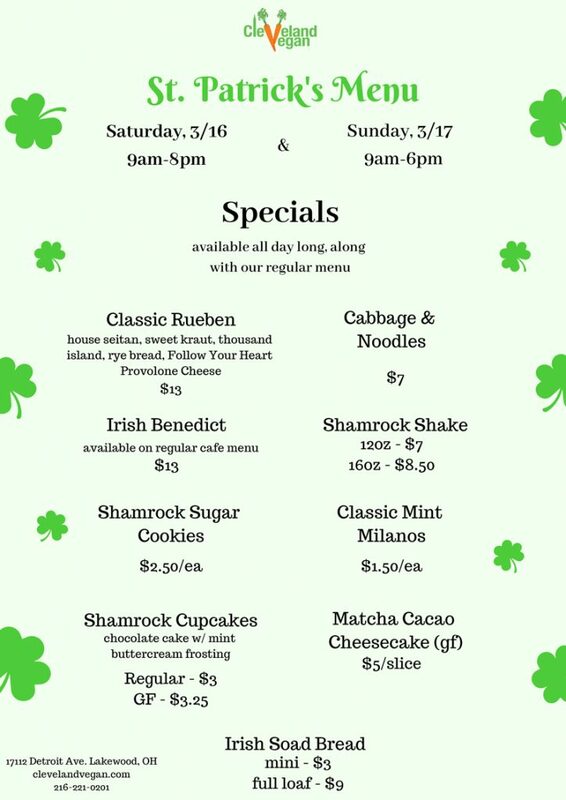 Menu of specials coming soon…but expect to find classic Reuben, Irish soda bread, shamrock shakes, cabbage & noodles & more! !